The project to build your own myfanuc.dll for your devices was created with Visual Studio 2017. 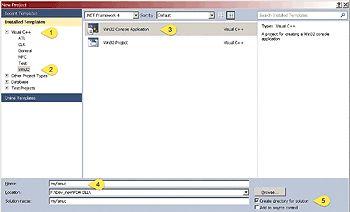 If you’re using Visual Studio 2013 it is sufficient to open myfanuc.sln, right click project device -> Properties -> Configuration Properties -> General and change Platform Toolset to Visual Studio 2013 - Windows XP (v120_xp). In case you use a different compiler follow the steps below, tested with Visual Studio 2008 and 2010. If you do not change these settings your DLL will not work on other Windows versions! Copy all .cpp, .h and .dev files from the ‘myfanuc’ ZIP file of the device project into your project folder that contains myfanuc.cpp, overwrite the existing files! Right click project name device (Solution Explorer) select Rebuild. Make sure that your project compiles without errors.